Kicking off his “new regime” of Mosley Music talent by featuring on Pepsi’s Beats Of The Beautiful Game album with his signing Rachel Assil and track Whoever We Are, we caught up with Tim to find out more about his next generation of artists and some old – and much missed – friends. MTV UK: How did you end up featuring on Pepsi’s Beats Of The Beautiful Game album? TIMBALAND: Well I sat down with Pepsi and they had a great vision, I saw the vision, and it was a good way to get my music out across the world. I felt like I had a great song with my new artist Rachel Assil that fit perfectly. 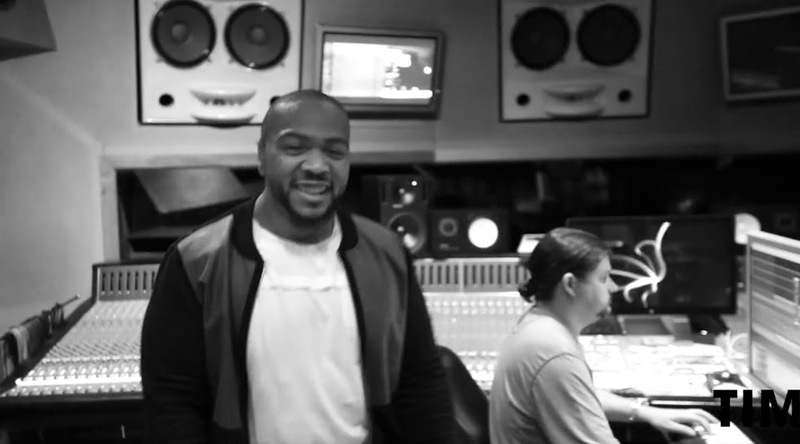 TIMBALAND: I heard the song when Rachel did it, she played it on the piano and I just thought, ‘Wow, this fits the campaign.’ I sent it to Pepsi and they loved it. "Beats of the Beautiful Game" is available to download from iTunes now. MTV UK: There are some other great artists on the Beats Of The Beautiful Game album, like Janelle Monae and Rita Ora; is there anyone on there you’d love to work with? TIM: Not really. I just want to work with my own people that are with me. I don’t want to work with nobody that’s not a part of Mosley Music. Not right now. I’m building a new regime. MTV UK: Can you tell us more about your new regime? TIM: You’ll see, in 2015, I’ve got mostly girls that are signed to me. The first two are very special. I probably haven’t seen this kind of special since Lady Gaga. Or Rihanna. They’re the only two in the last ten or 12 years who are special. It’s not about being good or great, it’s about being special. TIM: It’s very exciting. It’s keeping me young, it’s keeping me fresh, it’s keeping me invigorated. Everyone I have around me is the future. They’re kids. 21, 22, 23. Everybody’s young. I might be the oldest one here! I feel like I’m in that movie Divergent, because the new generation is about to happen, and I’m just the father. MTV UK: How was the experience of executive producing Michael Jackson’s final album, Xscape? TIM: That whole experience was stressful. For one, it’s emotional, because I’m dealing with death. I had to ask myself, have I dealt with Aaliyah’s death, and my other best friend Static’s death? There’s something very emotional when you hear Michael Jackson’s voice, but you don’t see him; that’s kinda scary. It’s Michael Jackson for God’s sake, why wouldn’t it be stressful? It’s his last album. It all worked out for the good. It’s a great album. MTV UK: What’s the number one thing we should be looking out for from you in the next few months? TIM: I’m gonna put something out, just a teaser, before the new year. Maybe two things. You’re gonna like it.